Just hop on the train, they say. Takes no time at all, they say. 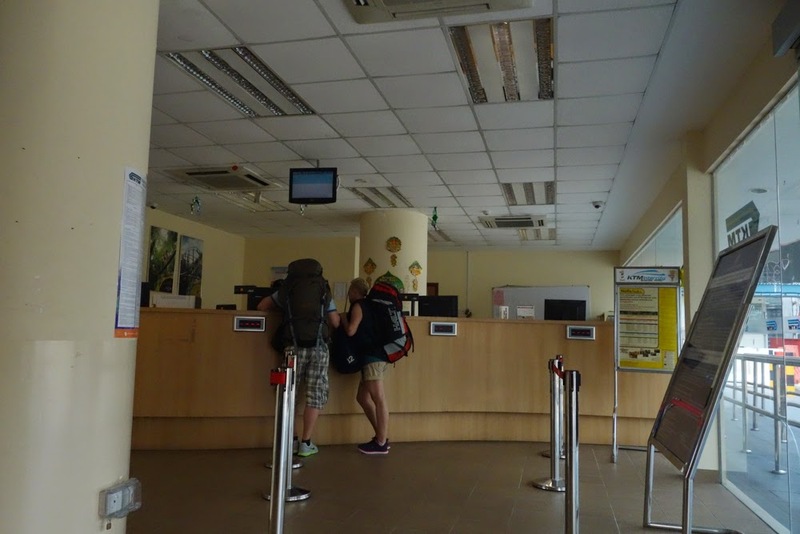 Unfortunately crossing the border from Singapore into Malaysia was not as easy as the travel guides made it out to be. I will spell it out here, step by step, in order to provide future travelers with ever more detailed information. However, I won’t be adding photos because 1) it’s not like you’re going to remember these unremarkable sights and 2) it’s not like you’re going to have wifi to be able to cross reference my website with what you’re looking at. 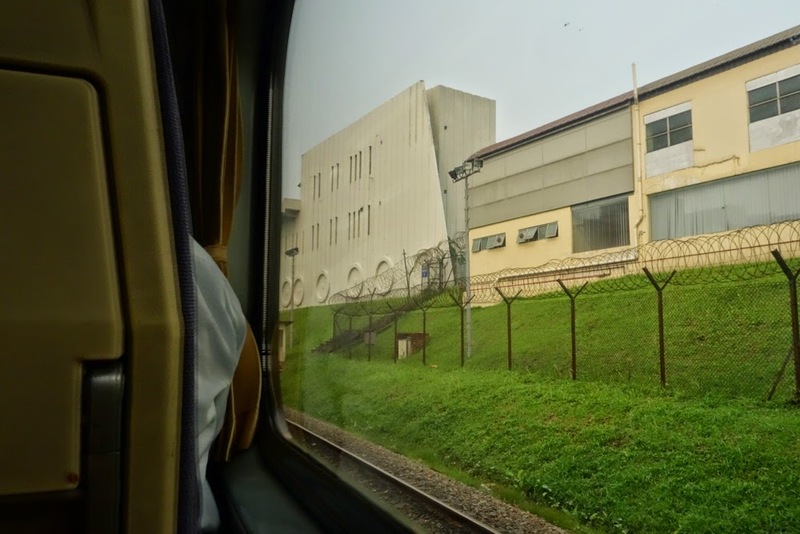 Our journey began in the suburbs of Singapore, where we took the MRT to Woodlands station. This part is easy. Singapore is high tech, and the ticket machines let you select your destination by name or by looking at a map, so you know exactly how much to pay and which line to take. Our fare was $2.30 per person and the entire journey from doorstep to station took 1 hour. Go down the escalator to the Bus Interchange. It will be extremely busy. Go to bus Bay 12. Take 913 or 911 to the Woodlands Train Checkpoint. It comes pretty regularly so you probably won’t have to wait more than 10 minutes. The bus fare was $1.30 per person. The bus will announce, “Woodlands Train Checkpoint” after a 10 minute ride. 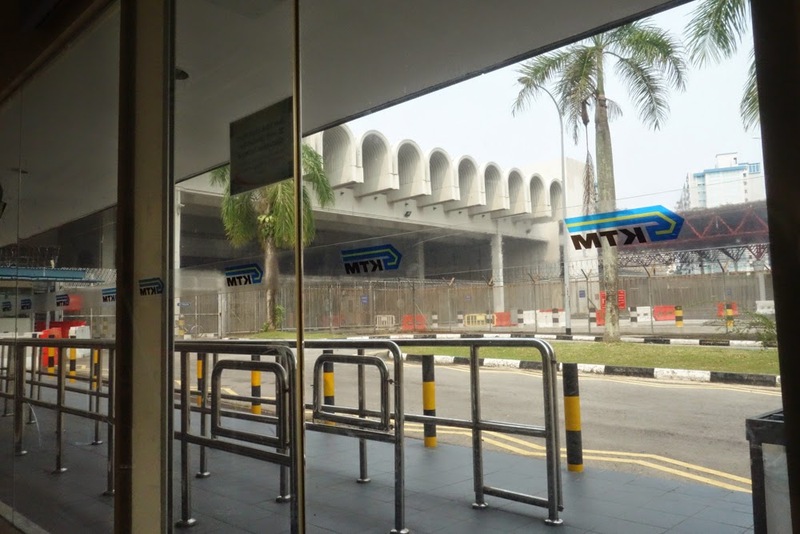 Once you enter the station, the KMT ticket counter is on the right. There was no line we arrived (about 1 hour before the departure time) and we were able to secure seats to Johor Bahru (just across the border) with little difficulty. The tickets were $11 each. Pretty pricey for a five-minute ride. Now you begin the nauseating process of waiting in this miserably hot mint-green building for the train to depart. There are no bathrooms so you will need to walk to the bazaar across the street to pee in a squatter outside. Roughly 30 minutes before departure the guards opened the checkpoint and we went through Singapore’s emigration, then Malaysia’s immigration and customs. This was easy and painless compared to immigration and customs at the airport. There is strictly no photography allowed in the entire building. We thought it was ok to photograph the outside of the train on the platform, but were kindly told not to by the security guard. Once you are on the train, however, you can go crazy with the pictures. We were in the superior class, which was hot and uncomfortable. Fortunately, our ride only took five minutes, so we didn’t have to endure it for very long.